The Glasgow Green festival has announced its next wave of acts, which sees the AM rockers headline with support from Interpol, Blossoms, Miles Kane and more. Arctic Monkeys have been announced as the fourth headliners at TRNSMT 2018, marking their first UK date of the year so far. The Do I Wanna Know? four-piece will play the top slot at Glasgow Green on 1 July, closing the first weekend of the festival. 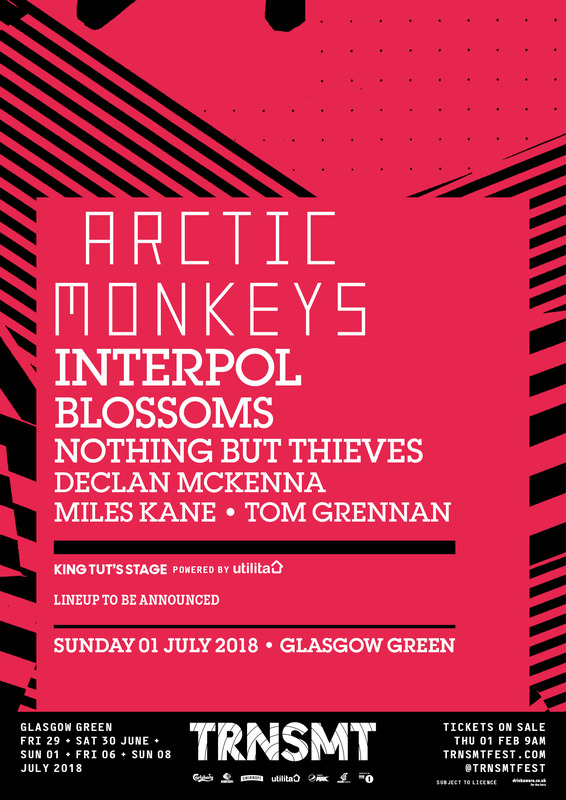 Joining them on TRNSMT’s main stage will be Interpol, Blossoms, Nothing But Thieves, Declan McKenna, Miles Kane and Tom Grennan. Pre-sale begins on Tuesday 30 January at 9am from TRNSMTfest.com. Sunday’s line-up joins previously announced headliners Stereophonics, Liam Gallagher and The Killers- plus supporting acts in the likes of Courteeners, CHVRCHES, James Bay, Wolf Alice, Franz Ferdinand and more. Day tickets for Friday 29 June, Saturday 30 June, Sunday 1 July, Sunday 8 July are available plus two, three and five day ticket options. 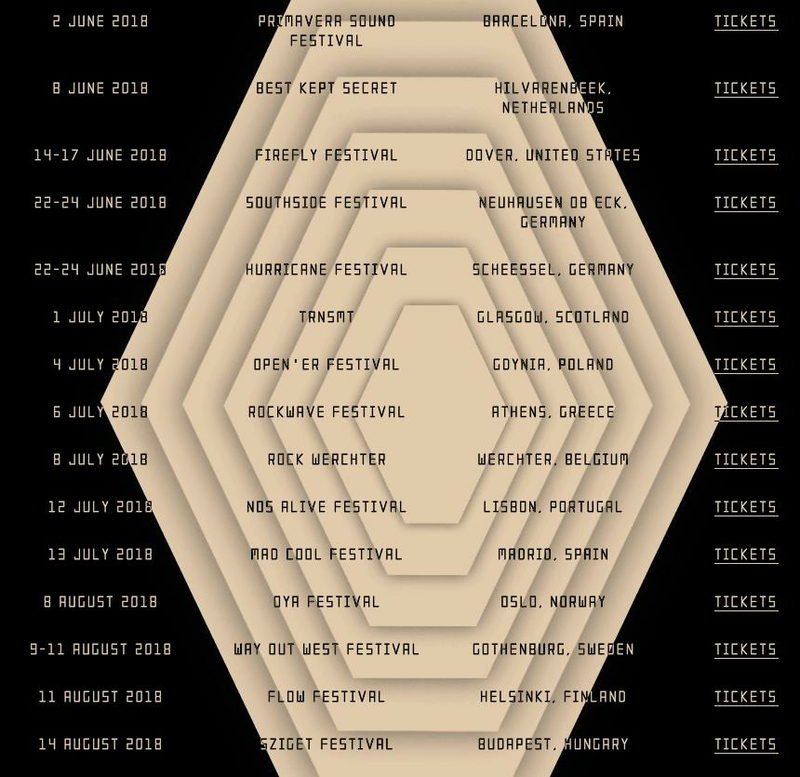 Today (29 January) also saw Arctic Monkeys drop a massive list of festival dates for this year, which include the likes of Rock Werchter on 8 July, NOS Alive on 12 July and Szigest Festival on 14 August 2018.